For their research work near the end of 1947, Elbert Benjamine and W. M. A. Drake rechecked the progressed aspects in all the research charts (reports on some of which had been made before there was any ephemeris of Pluto) in which the original report indicated that over one degree must be allowed for progressed aspects involving the Sun or Mars. 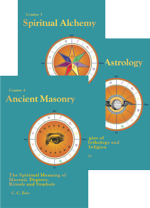 Their findings, published in C. of L. Astrological Report No. 61, in the January 1948, issue of The Rising Star, show that when all the parallel aspects are carefully calculated the one degree orb for all progressed aspects—major, minor and transits—including those involving Sun or Mars, is valid. But it was found—and with other planets than Sun and Mars—that in judging a particular event cannot take place because the relevant aspect is a little beyond the one degree orb, it is essential carefully to ascertain that ALL parallel aspects by progression involving the planet are also more than one degree from perfect. For a parallel aspect by progression, while it is within the one degree of perfect, is able to widen—both while the zodiacal aspect is applying and while the zodiacal aspect is separating—the influence of the zodiacal aspect, so that sometimes the event indicated by the zodiacal aspect will take place while the zodiacal progressed aspect is as much as a degree and a half from perfect. Birth-chart constants: Jupiter afflicted, usually in Scorpio or other watery sign. Progressed constants: An affliction involving Jupiter at the same time there are severe rallying forces. Stellar Treatment: These swellings, which may occur in various parts of the body, are essentially bags with more or less fluid contents. The diet should contain ample sulfur, and care should be taken not to eat too much sugar and fat. The indications are that there is incomplete burning of such fuels, and that the insulin supply needs strengthening. Harmonious Mercury planetary energy should be applied to the zone mapped by Jupiter, and Mercury planetary energy should be applied to the cyst. Example: Chart 6113. Male, August 23, 1888 4:00 a.m. 74W. 40:43N. Jupiter in Scorpio square Mercury. In July 1912, as progressed, with Jupiter square Mercury r, and Asc. square Mars p (operation), had an operation to remove two cysts at base of spine. 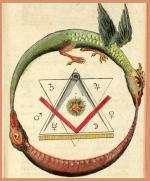 The afflicted Mercury was in the last degree of Leo, mapping the base of spine. Birth-chart constants: Moon severely afflicted by Saturn. If Saturn is prominent and afflicted a severely afflicted Moon may cause trouble with the hearing. Even a powerful harmonious aspect, such as a trine, between Moon and Saturn, may give hearing difficulties of less severity if the Moon is otherwise heavily afflicted. Progressed constants: An aspect involving Saturn, with severe rallying forces. Stellar Treatment: The thought cells mapped in the birth chart by the Moon need to be harmonized and strengthened through the application of Mars planetary energy. The zone mapped by Saturn should be given Venus planetary energy, and also Sun planetary energy to arouse the thought cells into activity. Solar electromagnetic energy should be applied to the ears. Example: Chart 275. Male, October 22, 1905, 12:55 p.m. 90W. 30N. Moon opposition Saturn. In July 1924, as progressed, with Venus trine Saturn r, and Venus square Mars p as a rallying force, he began to lose his hearing. Birth-chart constants: Negative planets quite prominent and Mercury or the Moon, often both, severely afflicted. Progressed constants: A powerful aspect involving Mercury or the Moon at the same time there are severe afflicting rallying forces. Stellar Treatment: This disease may be due to a toxic, or other condition which causes alteration in the physical substance of the brain. The more common form is maladjustment of the mental factors giving rise to an attitude in which the mind flees reality and lives in an interior world of fantasy. When there is lack of willingness to face conditions which are present, especially when some event causes a great shock, there is a tendency thus to retreat within. If there has been physical injury, or if there has been toxic poisoning, this condition must be treated according to its nature. But in all cases the patient must be reeducated to a willingness to enjoy life and face its responsibilities. An analysis of the circumstances leading to the trouble will indicate the best method of approach in this reeducation. The Moon and Mercury thought cells should be given their planetary antidotes. Proper suggestion during the Stellar Treatment may be used to advantage. Example: Chart 2042. Female, September 25, 1907, 11:20 p.m. 71W. 42N. Neptune conjunction Asc., Saturn conjunction M.C., Moon sesquisquare Uranus, and Mercury square Neptune and the Asc. November 24, 1926, as progressed, with Mercury trine Neptune r, M.C. opposition Mercury r, Uranus sesquisquare Moon r, Sun square Mars r, and Asc. opposition Mars p, developed dementia praecox. 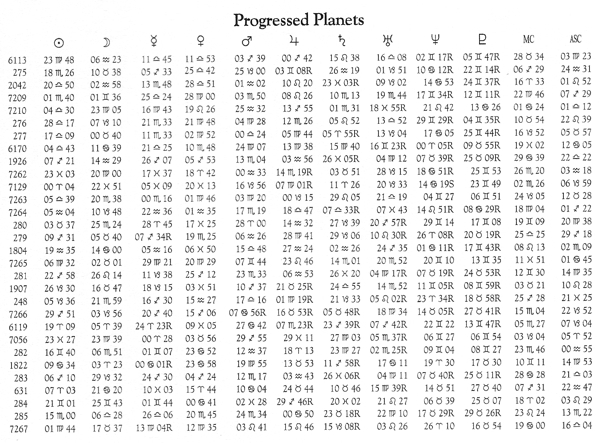 Birth-chart constants: Mars and Venus prominent and usually afflicted. Progressed constants: A progressed aspect involving Mars, and a progressed aspect involving Venus, usually afflictions. Stellar Treatment: The virus of this tropical disease is carried by a mosquito. The patient should go to bed and remain there until the eruptions disappear. Fruit juice diet and absence from alcohol are recommended. Cold sponging, cooling applications, and lunar electromagnetic energy may be used to reduce the fever and relieve the headache. The zone occupied by Mars should be given Moon planetary energy, and the zone occupied by Venus should be given Saturn planetary energy. Example: Chart 7209. Male, October 6, 1895, 8:56 a.m. 77:26W. 37:32N. Mars conjunction Sun, Venus in the tenth square Neptune and Pluto. July 7, 1924, as progressed, with Mars semisquare Venus r, Mars sesquisquare Neptune r, and Sun opposition Moon r, took down with dengue fever. Birth-chart constants: Venus afflicted, especially by one of the upper-octave planets, and one or more of the upper-octave planets prominent. Progressed constants: An aspect to Venus and an aspect to an upper-octave planet. Stellar Treatment: The diet should contain calcium, vitamin B-1 and vitamin D, and the thinking should be calm and deliberate to strengthen the parathyroid glands and reduce the hypersensitivity of the nervous system. Planetary energy the antidote of the upper-octave planet responsible for the hypersensitivity should be applied to the zone it occupies. The diet should also contain vitamin A, vitamin E, iodine and copper to strengthen the thyroid gland. Saturn planetary energy should be applied to the zone occupied by Venus. Example: Chart 7210. Male, September 26, 1924, 5:25 a.m. 86:15W. 41:41N. Mercury sextile Pluto and opposition Uranus, Venus conjunction Neptune and opposition Mars. In March 1926, as progressed, with Sun semisquare Venus p, and Venus inconjunct Uranus r, developed dermatitis. Birth-chart constants: Saturn and Jupiter prominent and afflicted, frequently forming an affliction to each other. Progressed constants: An aspect involving Jupiter or Saturn, often an aspect involving each. Stellar Treatment: Over eating, or the eating of too rich foods strains the insulin supply; and worry, anxiety, emotional excitement, or over exertion releases adrenalin which neutralizes the sugar storing power of insulin, causing glycogen to be released into the blood. When the insulin supply is exhausted, sugar can no longer be transformed into glycogen and stored, nor transformed into fat. Instead it remains in the blood as simple sugar, which being soluble, is washed out of the body and lost. In diabetes, therefore, the diet should receive special attention, and a type of thinking cultivated which is free from anxiety, strain and excitement. The dynamic structure mapped by Saturn should receive the planetary energy of Venus. The dynamic structure mapped by Jupiter should be given the planetary energy of Mercury. And the thought treatment of the solar plexus should be such as to relieve strain, tensions and annoyances. Example: Chart 276. Male, September 24, 1887, 1:00 a.m. 9:15E. 49:10N. Saturn angular and conjunction Asc. making the square of angular Jupiter. Near his 28th birthday, as progressed, with Jupiter semisextile Uranus r, Venus semisquare Saturn p, and Mars semisextile Saturn r and square Pluto p, he developed diabetes. Birth-chart constants: Negative planets prominent, and often an affliction in Taurus. Progressed constants: An aspect, usually an affliction, involving Mars, and usually also an aspect involving Mercury. Stellar Treatment: This is a contagious disease which during an epidemic often has a higher fatality than almost any other illness. The membranes, particularly those of the tonsils and region of the throat and mouth, become the breeding ground of bacilli which form a false membrane, known as diphtheric membrane. A progressed affliction to Mercury, acting on the parathyroid glands, makes the membranes unduly sensitive. The influence of the negative planets lower the vital power, and the progressed aspect involving Mars lowers the adrenalin and cortin output, the chemicals the body uses to fight invaders. The diet should alkalize the blood stream. Jupiter planetary energy should be applied to the zone occupied by Mercury, and Moon planetary energy to the zone occupied by Mars. Solar electromagnetic energy should be used to build vitality, and lunar electromagnetic energy and Moon planetary energy should be applied to the parts which are inflamed. Example: Chart 277. Male, October 3, 1908, 6:05 p.m. 122:30W. 47:45N. Moon opposition Neptune from tenth to fourth. In July 1915, as progressed, with Asc. in Taurus opposition Mercury r, Mercury semisquare Mars r, and Sun square Neptune r, had diphtheria. Birth-chart constants: A prominent and afflicted Moon. Progressed constants: A progressed aspect involving the Moon at the same time there are afflicting rallying forces, especially an affliction involving the Sun. Stellar Treatment: Dropsy is due to imbalance of the salt and water content of the body, governed chiefly by the back pituitary, which in turn responds to the Moon. Thyroxin, which responds to the Sun and also to Venus, tends to drive water from the body, while pituitrin tends to retain it. Therefore the diet and treatment should have for object restoring the back pituitary gland to normal, and strengthening the thyroid. Iodine in the food is a necessity for proper thyroid activity. Emotional stresses should be avoided. Mars planetary energy should be applied to the zone occupied by the Moon, and solar electromagnetic energy and Sun planetary energy should be applied to the thyroid gland. Example: Chart 6170. Male, July 24, 1861, 11:00 p.m. 92W. 43N. Moon sesquisquare Mercury, square Uranus and opposition Saturn. April 5, 1926, as progressed, with Venus trine Moon r, Uranus semisquare Sun r, and Asc. semisextile Mars r in Leo, ruptured (Mars) mitrael valve in heart, after which he suffered dropsy until he died in 1932. Birth-chart constants: Affliction in Virgo; less commonly a severely afflicted Mercury. Progressed constants: An aspect, usually an affliction, involving the planet in Virgo or Mercury. Stellar Treatment: In all digestive difficulties the diet and the thinking are about equally important. Correcting one without correcting the other is never as effective as it should be. Mental tensions, overwork, and in particular worry and irritation must be avoided and pleasant, constructive thinking cultivated in their stead. The planetary energy which is the antidote of the afflicted planet in Virgo should be applied to the Virgo zone, if there is such an afflicted planet; and if Mercury is afflicted, Jupiter planetary energy should be given to the zone it occupies. Example: Chart 1926. Male, October 11, 1878, 3:15 a.m. 1:55W. 53:15N. Uranus in Virgo semisquare Sun; Mercury opposition Moon. In 1928, with Mercury square Saturn p, and Jupiter inconjunct Uranus p in Virgo, a duodenal ulcer formed. In April of that year, as progressed, with Mars (operation) sesquisquare Saturn r, he underwent an operation for its removal. Birth-chart constants: Moon afflicted by Saturn. Less severe difficulty may develop if Saturn is prominent and makes even a powerful harmonious aspect with the Moon, especially if the Moon is heavily afflicted. Stellar Treatment: The thought cells mapped in the birth chart by the Moon need to be harmonized and strengthened through the application of Mars planetary energy. The zone mapped by Saturn should be given Venus planetary energy, and also Sun planetary energy to arouse them into activity. Solar electromagnetic energy should be applied to the ears. Example: Chart 7262. Male, March 5, 1911, 4:00 a.m. 87:37W. 41:50N. Moon conjunction Saturn, semisquare Pluto, opposition Jupiter. In July 1920, as progressed, with Pluto semisquare Moon r, and Asc. square Saturn r, developed trouble with his ears. Birth-chart constants: Upper-octave planets prominent, and Venus prominent and severely afflicted. Progressed constants: An aspect involving an upper-octave planet, and an aspect involving Venus; especially an aspect of Venus to an upper-octave planet. Stellar Treatment: The upper-octave planet through its influence on the parathyroid glands gives a chemical imbalance which makes the individual unduly sensitive; and this sensitiveness, due to the prominent and afflicted Venus, is especially noticeable in the skin. Venus influences the thyroid gland, the secretion of which directly affects the skin. Careful attention should be given to the diet that there may be no indigestion, that the thyroid has iodine, that there is sufficient copper for blood building, the vitamins required by Venus, and calcium and vitamin D for the parathyroid glands. The zone occupied by the responsible upper-octave planet should receive the planetary energy of that planet’s antidote, the zone occupied by Venus should receive Saturn planetary energy, and lunar electromagnetic energy should be applied to the region where the eczema appears. The individual may have an idiosyncrasy as to certain items of diet, or be sensitive to wool clothing, to dyes in the clothing, or to other things usually unnoticed by other people. Example: Chart 7129. Female, March 10, 1909, 2:00 a.m. 87:37W. 41:50N. Uranus and Neptune in angles, and they, as well as Pluto, aspecting both Sun and Moon. Venus sesquisquare Moon. March 10, 1920, as progressed, with Pluto trine Moon r, Jupiter opposition Venus r, Mercury semisquare Uranus r, Asc. sextile Venus r, and Venus sextile Uranus r, developed a bad case of eczema on arm (Pluto in Gemini in sixth). Birth-chart constants: Pluto or Neptune afflicted, and either an affliction in Gemini or Mercury severely afflicted. Progressed constants: An aspect involving Pluto or Neptune at the same time there are severe rallying forces. Stellar Treatment: The diet should be rich in calcium, vitamin B complex and vitamin D. Mucus forming foods should be avoided. The zone occupied by the aspected Pluto or Neptune should receive the planetary energy of its antidote, and also the vitalizing Sun planetary energy. The affliction in Gemini should be given its planetary antidote, and the region of the empyema should be given solar electromagnetic energy. Everything should be done to build up the vitality. Example: Chart 7263. Male, September 17, 1889, 7:06 p.m. 73:40W. 41N. Neptune and Pluto in Gemini sesquisquare Mercury and Uranus. On May 31, 1900, as progressed, with Pluto in Gemini sesquisquare Uranus p and Mercury r, Sun trine Pluto r in Gemini, and Mars sextile Moon r, developed empyema. Later a piece of rib was taken out (Mars) to drain off the pus. Birth-chart constants: Affliction involving Mars, and affliction involving Venus. Progressed constants: An aspect to Mars and an aspect to Venus. There are probably other constants, but at present we have too few data of epileptics to be able to discover them. Stellar Treatment: The abnormal nervous tension, and congestion of electrical energy which gives rise to these seizures seems to derive from imbalanced secretions of the glands influenced by Mars and Venus. The first seizures often arrive at the age of puberty. The diet should be such as that indicated for an afflicted Mars, and for an afflicted Venus. Strain and excitement and stimulating food should be avoided. The zone occupied by Mars should receive Moon planetary energy. The zone occupied by Venus should be given Saturn planetary energy. Lunar electromagnetic energy should be applied to the medulla oblongata. Hospitals use dilantin for grand mal, and tridione for petit mal. Example: Chart 7264. Male, January 9, 1922, 3:00 a.m. 104:45W. 42:15N. Mars conjunction Asc., Venus square Saturn and opposition Pluto. June 1, 1938, as progressed, with Mars semisextile Jupiter r and sextile M.C. p, and with Venus sextile Asc. p, had first epileptic attack. 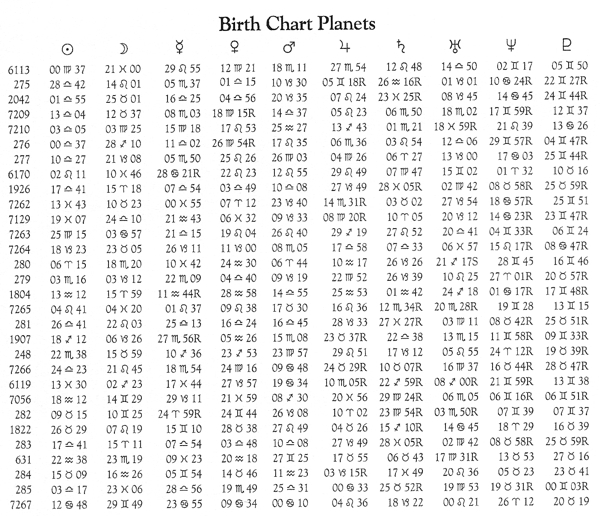 Birth-chart constants: Upper-octave planets prominent, Venus prominent and afflicted, Mars prominent and afflicted. Progressed constants: An aspect involving an upper-octave planet, an aspect involving Venus, and an affliction involving Mars. Stellar Treatment: The treatment as to diet and irritations should be that advocated for eczema, with the addition of the dietary factors recommended for an afflicted Mars. For in erysipelas there is also a Mars condition, with inflammation of the skin, and fever, which may run so high as to occasion delirium. Cold applications are commonly used to reduce the fever. Lunar electromagnetic energy should be applied to the inflamed areas for the same purpose. Like many Mars diseases it is somewhat contagious. The zone occupied by Mars should be treated with Moon planetary energy, the zone occupied by the upper-octave planet should receive the planetary energy of its antidote, and the zone occupied by Venus should receive Saturn planetary energy. Example: Chart 280. Male, March 27, 1902, 3:00 p.m. 90W. 40:30N. Pluto in the tenth, Neptune opposition Uranus in the fourth, Mars conjunction Sun, Venus opposition Asc. and square Moon. In February 1930, as progressed, with Venus square Pluto r, Asc. square Uranus p, Mars square Saturn p, and Mercury conjunction Mars p, he had erysipelas. 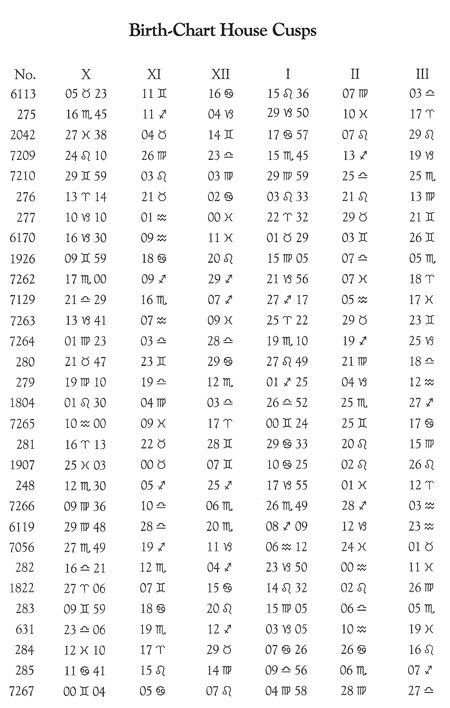 Birth-chart constants: Sun afflicted by Uranus, or less commonly a prominent Uranus and the Sun severely afflicted. Progressed constants: Sun aspecting Uranus, or Sun involved in severe affliction, especially if Venus at the same time is involved in an affliction. Stellar Treatment: The diet should be that advocated for a weak thyroid gland and weak parathyroid glands, containing iodine, calcium, vitamin A and vitamin D. The thought education, and the thought treatment of the solar plexus, should have for object a calm, poised and unemotional state of mind. Emotional stress and excitement should be discouraged. Jupiter planetary energy should be applied to the zone occupied by Uranus and to the zone occupied by the Sun. Not infrequently, due to the sensitiveness of the nervous system and the excitable tendency, digestive troubles are also present. These should receive proper treatment. Example: Chart 279. Female, October 26, 1873, 9:00 a.m. 84W. 43:30N. Sun square Uranus. In October 1909, as progressed, with Sun trine Uranus r, Venus opposition Pluto p, she developed exophthalmic goiter. Birth-chart constants: Moon severely afflicted by Mars. If Mars is prominent and afflicted, a severely afflicted Moon may cause trouble with the eyes. Even a strong harmonious aspect, such as a trine between Moon and Mars may cause trouble with the eyes of a less severe nature, if the Moon is otherwise severely afflicted. When these constants are not present the eyes may give trouble, not because of any defect in them, but due to nervous depletion. Progressed constants: An aspect involving Mars with severe rallying forces. If due to nervous depletion the Mars aspect may be absent, and an affliction involving Mercury or the upper-octave planets may be present instead. Stellar Treatment: If the difficulty is due to nervous depletion, the vitality should be built up and the diet should contain ample vitamin A and vitamin B-1. But in typical eye troubles the eyes themselves should be treated with lunar electromagnetic energy, and the zone occupied by the Moon should be strengthened by adding to it harmonious Moon planetary energy. Example: Chart 1804. Female, February 2, 1903, 11:50 p.m. 81W. 40N. Mars opposition Moon. Has had much difficulty with the eyes. In the summer of 1909, as progressed, with Mars opposition Moon r, and Moon square Mars r, became near sighted. Birth-chart constants: Sun afflicted or a planet in Leo afflicted, and Pluto or Neptune heavily afflicted. Progressed constants: An aspect to the Sun or the planet in Leo at the same time there is a progressed affliction involving Neptune or Pluto. Stellar Treatment: Fainting is due to a momentary failure of the blood supply to the brain. As the heart action is usually depressed at the time of fainting, the afflicted Sun should be strengthened by applying to it harmonious Sun planetary energy, or the planet in Leo should be given the energy of its planetary antidote. Glandular balance should be restored through proper diet and thinking. And the mental or toxic condition indicated by the afflicted Neptune or Pluto should be given attention. The energy of its planetary antidote should be applied to the zone occupied by the afflicted Neptune or Pluto. Example: Chart 7265. Female, July 27, 1896, 1:00 a.m. CST. 97:53W. 36:24N. Venus in Leo sextile Pluto. In September 1929, as progressed, with Venus square Neptune p, started to have fainting spells. These continued for years. Birth-chart constants: A prominent and severely afflicted Jupiter. Progressed constants: An affliction involving the Sun, and an aspect involving Jupiter. Stellar Treatment: Insulin tries to get rid of the overtaxing burden of fat in the blood due to overeating, or to eating too rich foods, in proportion to the amount of exercise taken. In the effort to rid the blood of fuel which cannot be burned, it finds irritated spots a convenient dumping ground, and thus a fatty tumor develops. Proper exercise and a diet less rich in fat producing qualities is the first need. Then, as there is too much insulin in proportion to adrenalin and thyroxin, the zone occupied by Jupiter should be treated with Mercury planetary energy. In addition, there should be iodine in the food, and the zone occupied by the Sun should be given Venus planetary energy, and the thyroid gland should be treated with solar electromagnetic energy. Example: Chart 281. Female, October 20, 1878, 11:00 p.m. 94:45W. 38N. Jupiter opposition Asc. and square Sun and Mercury. By August 1933, after Sun had just passed the semisquare Jupiter p, and had reached the sesquisquare of Neptune r, and Jupiter was square Neptune p, four fatty tumors had developed. Birth-chart constants: A severely afflicted Venus. More pronounced if there is also an afflicted planet in Libra or Scorpio. Progressed constants: An aspect, usually an affliction, involving Venus. If an operation takes place there is an aspect to Mars. Stellar Treatment: A wide variety of complaints come under this heading. But in all of them the thought cells mapped by Venus are chiefly responsible. If Saturn is not the planet afflicting Venus, its energy should be applied to the zone occupied by Venus. When Saturn is the planet afflicting Venus, or when the difficulty involves a negative planet, Sun planetary energy should be applied to the zone occupied by Venus or the negative planet. Solar electromagnetic energy should be applied to the female organs. The diet should be that recommended for an afflicted Venus, ample wheat germ being especially beneficial. There is also present an unregulated emotional factor which requires mental education and thought treatment. Example: Chart 1907. Female, December 9, 1893, 6:00 p.m. CST. 83:30W. 32:45N. Venus semisquare Sun and square Uranus. Mars conjunction Uranus in Scorpio. There was chronic female trouble which in July 1931, as progressed, with Mercury semisquare Venus p, Sun sesquisquare Neptune r, Mars opposition Neptune p, and Uranus conjunction Mars r, resulted in an operation. It was unsuccessful and was later repeated. Birth-chart constants: Saturn prominent and afflicted. If the tumor is of the uterus, which is most common, Venus afflicted, and a planet in Scorpio or an afflicted Mars. Progressed constants: A discordant aspect involving Saturn. Stellar Treatment: Solar electromagnetic energy should be applied to the fibrous growth, and Sun planetary energy and Venus planetary energy should be applied to the zone occupied by Saturn. If the tumor is of the uterus the zone occupied by Venus should be given Sun planetary energy, and the thyroid gland should be given solar electromagnetic energy. The diet should be that recommended for Saturn and for Venus, ample wheat germ being beneficial. Some essential thing is lacking in both the diet and in the thinking. There is emotional imbalance, or lack of emotional expression, and a self-centered quality where affectional matters are concerned. The mental reeducation should be directed toward establishing normal harmonious affectional emotions and toward restoring the thyroid gland to normal activity. Example: Chart 248. Female, November 14, 1872, 11:00 a.m. 74W. 40:43N. Saturn conjunction Asc. and square Neptune, Sun in Scorpio, Venus square Mars. In March 1915, as progressed, with Mars square Saturn r, a fibrous tumor of the uterus was removed by surgical operation. 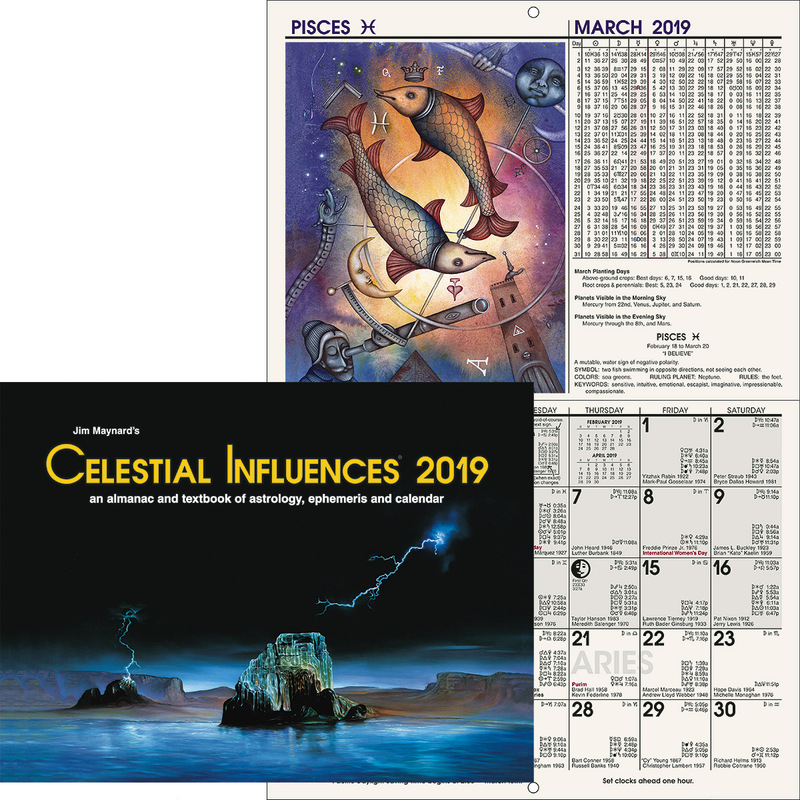 Birth-chart constants: Afflicted planet in Pisces or a prominent Neptune. Progressed constants: A discordant aspect involving the planet in Pisces, or a discordant aspect involving Neptune. Stellar Treatment: Foot trouble is a term embracing a number of difficulties that may affect the feet. If the difficulty is mapped by a planet in Pisces, the planetary energy of the antidote of this planet should be applied to the zone of the feet. Electromagnetic energy applied to the feet is often beneficial. If Neptune is afflicted, Saturn planetary energy and Sun planetary energy should be applied to the zone occupied by Neptune. Usually there is a physical condition, such as improper shoes or improper exercise which needs attention. Fallen arches, for instance, respond to proper shoes and systematic exercise to strengthen the foot muscles. Example: Chart 6119. Female, March 4, 1899, 0:54 a.m. 85:30W. 45N. Sun and Mercury in Pisces square Pluto, Mercury square Saturn, Neptune opposition Saturn and square Mercury. She had foot trouble constantly, as progressed Pluto was square Sun in Pisces the first 54 years of her life. In February 1935, as progressed, with Pluto square Sun r, Venus in Pisces semisquare Mercury p, and Sun square Mars r (operation), it became so serious an operation was performed on her feet. Birth-chart constants: Prominent and heavily afflicted Neptune. Progressed constants: An aspect to Neptune at the same time there are severe rallying forces. Stellar Treatment: During World War II penicillin was successfully used in the treatment of a variety of fungus growths contacted in the South Pacific. The vitality should be built up, and normal activity restored to the adrenal glands, the secretions of which are depressed through the influence of Neptune. Sun planetary energy should be applied to the zone occupied by Neptune, and solar electromagnetic energy should be applied to the region attacked by the fungus growth. The thinking should be positive and of the Sun type. The diet should be ample, and contain calcium, vitamin B-1 and vitamin D.
Example: Chart 7266. Male, October 17, 1881, 9:00 a.m. 87:35W. 37:58N. Neptune conjunction Saturn, opposition Mercury, and square Moon. In September 1906, when progressed Sun reached the conjunction of afflicted Mercury r, and progressed Mars was sextile Neptune p, the fungus growth got a hold in his throat (Neptune in Taurus) and bronchial (Mercury) tubes. During forty years his health was poor and he was unable to get rid of it. On September 13, 1946, as progressed, with Sun sesquisquare Neptune p, and M.C. opposition Neptune p, he died of this chronic fungus growth. Birth-chart constants: A prominent and heavily afflicted Mars. Progressed constants: An aspect involving Mars at the same time there are severe rallying forces. Stellar Treatment: When the diet is deficient in the alkaline producing minerals, the blood stream becomes acid. An afflicted Mars tends to depress the secretion of adrenalin and cortin which tend to neutralize the acid condition. The bile and the gall bladder are under the influence of Mars, and when the blood stream is acid it may cause inflammation of the bile ducts and the gall bladder. A diet should be used which will alkalize the blood stream. The thinking should be harmonious and soothing, of Moon quality, Moon planetary energy should be applied to the zone occupied by Mars, and lunar electromagnetic energy should be applied to the region of the gall bladder. If there is a progressed Saturn aspect, indicating the likelihood of gall stones, there should be the additional treatment given under that heading. Example: Chart 7056. Male, February 7, 1892, 6:30 a.m. 74W. 40:43N. Mars in the tenth opposition Moon, Pluto and Neptune. In spring of 1927 the gall bladder became inflamed. On March 6, 1927, as progressed, with Mars square Jupiter p and square Saturn r, had an operation on the gall bladder. Birth-chart constants: Mars and Saturn prominent and afflicted, usually aspecting each other. Progressed constants: An aspect involving Mars, and an aspect involving Saturn, at the same time there are severe rallying forces. Stellar Treatment: Gall stones (bilary calculi) are hard masses, composed of cholesterine, an abundant constituent of bile, in combination with various calcarious substances. The acidity of the blood stream is increased through the dietary deficiencies developed under the influence of Saturn. Sedentary habits increase the chemical imbalance through lack of proper elimination. People in the close confinement of jails, and cows that are kept closely in stable in winter, are most frequent sufferers from gall stones. The toxic blood stream may cause mucus to form in the gall bladder or bile ducts, about which the concretions form as hard masses. Heavy doses of olive oil are often used to cause the stones to pass out of the body. To the treatment advocated for gall bladder trouble should be added the diet recommended for an afflicted Saturn, and Venus planetary energy should be applied to the zone occupied by Saturn. Example: Chart 282. Male, April 28, 1892, 10:00 p.m. LMT. 74:15W. 40:45N. Venus square Saturn, Sun sesquisquare Saturn, Saturn trine Mars in an angle, Mars square Mercury. March 5, 1931, as progressed, with Venus sextile Saturn r, Sun sesquisquare Uranus p, and Mars parallel Neptune p, underwent operation for gall stones. Birth-chart constants: Negative planets prominent and Mars or Venus, usually both, afflicted. Progressed constants: An aspect involving Mars at the same time there is an affliction involving Pluto, Neptune or Saturn. Stellar Treatment: Everything should be done to build up the vitality. The negative planet afflicted by progressed aspect should be given the planetary energy of its antidote, and it should be given Sun planetary energy. Solar electromagnetic energy should be applied to the region affected by gangrene. The zones occupied by Venus and Mars should be given the planetary energy of their antidote. The diet and treatment should have for their object the revitalization of the whole system, and the reestablishment of the normal activities of the gonad and adrenal glands. Example: Chart 1822. Female, May 17, 1869, 10:00 a.m. 0W. 51:32N. Saturn opposition Mercury, Neptune sextile Mercury, Pluto semisextile Mercury. On June 5, 1914, as progressed, with Mars inconjunct Neptune p, Saturn sesquisquare M.C. r, Uranus (appendicitis) sextile Pluto r, Jupiter square Asc. r, and Mercury semisquare Asc. r, died of gangrene of the appendix. Birth-chart constants: Moon heavily afflicted, especially by Mars, or a planet in Cancer heavily afflicted. Progressed constants: An aspect to Mars at the same time there are heavy rallying force afflictions. Stellar Treatment: Acute inflammation of the stomach may be caused by alcohol taken on an empty stomach, by boiling liquids taken into the stomach, or by other gross abuse of the stomach. It is a very serious illness. The stomach must be given absolute rest, and water must be supplied to the digestive tract, and other means should be taken to keep the temperature down in the region of the stomach. Lunar electromagnetic energies should be applied abundantly to the inflamed region. The imbalance where the cortin and adrenalin supply are concerned, resulting from the Mars influence, does not offer the normal check to inflammation. The zone occupied by Mars should receive harmonious Moon planetary energy, and thoughts should be cultivated that will bring harmony between the Mars and Moon thought cells. Its planetary antidote should be applied to any afflicted planet in Cancer. Example: Chart 283. Male, October 11, 1878, 3:13 a.m. 1:55W. 53:15N. Moon opposition Mars, Mercury and Sun. In February 1927, as progressed, with M.C. in Cancer opposition Jupiter r, and Mars sesquisquare Saturn r, had an attack of gastritis. Birth-chart constants: One or more upper-octave planet prominent, Jupiter afflicted, and either an afflicted planet in Cancer or a heavily afflicted Moon. Progressed constants: An aspect involving an upper-octave planet, an aspect involving a planet in Cancer or Jupiter, and an aspect involving Mars. Stellar Treatment: Mental stress should be avoided, as it releases adrenaline and withdraws the blood from the stomach. The stomach becomes unduly sensitive due to the influence of the upper-octave planet on the parathyroid glands and the affliction in Cancer or to the Moon. The Jupiter influence indicates inability to handle sugars and starches properly. A catarrhal condition of the stomach results under the Mars influence which may become an ulcer. 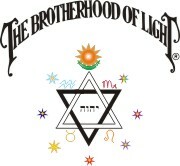 Thus in addition to calm and harmonious thinking there should be rest for the stomach; and the ketosis (incompletely burned fatty acids in the blood) must be taken care of through a diet low in fats, sugar, and other foods difficult to handle, and through strengthening the insulin supply by treating the zone occupied by Jupiter with harmonious Mercury planetary energy. The zone occupied by Mars, and the zone occupied by the Moon or the planet in Cancer, should be given the planetary energy antidote, and the stomach should be strengthened and soothed through applying lunar electromagnetic energy. Example: Chart 631. Male, February 11, 1882, 4:00 a.m. 88:45W. 35:30N. Moon opposition Jupiter and Pluto, square Venus and the Sun; Mercury opposition Uranus. In July 1926, as progressed, with Asc. square Moon r, Venus inconjunct Uranus p, Mercury trine Mars p in Cancer, and Mars semisquare Jupiter p, developed gastric ulcer. Birth-chart constants: Affliction in Taurus, or Venus and the Sun afflicted. Progressed constants: An affliction involving the planet in Taurus, Venus, or the Sun. Stellar Treatment: There must be sufficient iodine in the food, as well as the other things advocated when Sun and Venus are afflicted. Goiter is a disease of the thyroid gland, the gland of energy production. It may be produced by lack of iodine in the food, too great a proportion of protein or fat in the food, or by emotional strain. The first thing, therefore, is to provide a proper diet. Then there should be systematic education in the thinking to prevent emotional reactions of a disagreeable kind, and to prevent excitement. Normal love expression and harmonious thoughts associated with the desire for self esteem and power are beneficial. The zone occupied by the Sun should be given Jupiter planetary energy, the zone occupied by Venus should receive some Saturn planetary energy, but more Sun planetary energy. The throat should be given the planetary energy which is the antidote of any afflicted planet in Taurus, and should be treated with electromagnetic energy. Example: Chart 284. Female, May 5, 1877, 8:00 a.m. 92:30W. 43N. Sun and Venus in Taurus, conjunction Pluto, square Moon and Mars. In September 1914, as progressed, with Venus semisquare Sun r, and opposition Jupiter p, and Mars (operation) semisquare M.C. p, goiter became so serious that it was surgically removed. Birth-chart constants: Venus and Mars afflicted, or one of them severely afflicted and the other prominent. Progressed constants: A discordant aspect involving Venus or Mars. Stellar Treatment: A discordant Mars aspect reduces the cortin and adrenaline supply which resist infection. A discordant Venus encourages gonad imbalance on which the system must largely depend for vigor. Hospitals use penicillin with excellent results. Diet is very important. Rich foods should be avoided, and fruit juices used abundantly to restore alkaline reaction to the blood stream. The diet should be that recommended for an afflicted Venus and an afflicted Mars. The zone occupied by Venus should be given the planetary energy of Saturn and the planetary energy of the Sun. Moon planetary energy should be applied to the zone occupied by Mars, and lunar electromagnetic energy should be applied to the infected area. Example: Chart 285. Male, September 26, 1882, 6:30 a.m. 84W. 42N. Mars conjunction Mercury in the first; Venus opposition Neptune and Saturn. In September 1924, as progressed, with Mercury conjunction Mars r, and Venus square Uranus r, he contracted gonorrhea. Birth-chart constants: Mercury afflicted by an upper-octave planet, or upper-octave planets prominent and Mercury severely afflicted. Progressed constants: An aspect involving Mercury, especially an affliction. Stellar Treatment: The affliction of Mercury and the prominent upper-octave planets upset the chemical balance through reducing the ability of the parathyroid glands to handle calcium. Mercury rules the mucous membranes, and they become unduly sensitive to certain weed and flower pollen, to certain foods, or to atmospheric conditions. The treatment, therefore, should have as its aim the restoration of the mineral balance of the body through the diet recommended for Mercury and the prominent upper-octave planet. The nervous strain of the individual should be reduced through the application of lunar electromagnetic energy and thought-corrective education, the zone occupied by Mercury should be given Jupiter planetary energy, and the zone occupied by any prominent upper-octave planet should be given the energy of its planetary antidote. Example: Chart 7267. Male, July 4, 1872, 9:00 a.m. 72:45W. 42:15N. Mercury conjunction Uranus, sextile Pluto and square Neptune. In August 1923, as progressed, he suffered from hay fever, a complaint which he had recurrently.